Both sexes either fully winged or with wings shorter than thorax width. Body and legs brown, tarsi and much of fore tibiae yellow, also hind tibiae sometimes yellow at base; antennal segment III mainly yellow, IV–VI variably yellow at base; fore wings weakly shaded toward apex. Head longer than wide, slightly wider across cheeks than across eyes, cheeks without prominent tubercles, but with several small setae in wingless individuals; postocular setae long and pointed, wide apart; maxillary stylets retracted to eyes, close together medially. Antennae 8-segmented; sensoria longer in winged than wingless individuals, segment III with 3sensoria, IV with 4 sensoria; VIII constricted to base. 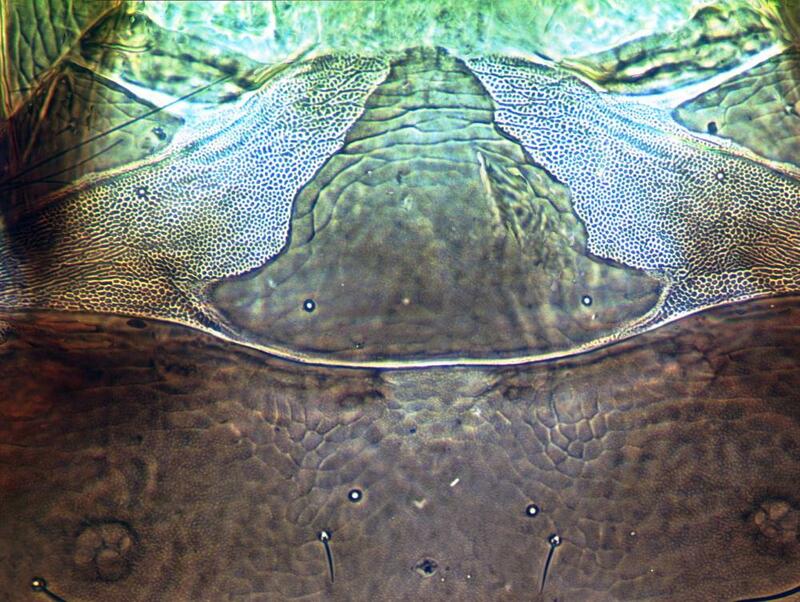 Pronotum without sculpture medially; with four pairs of slender pointed major setae, anteromarginal setae small. 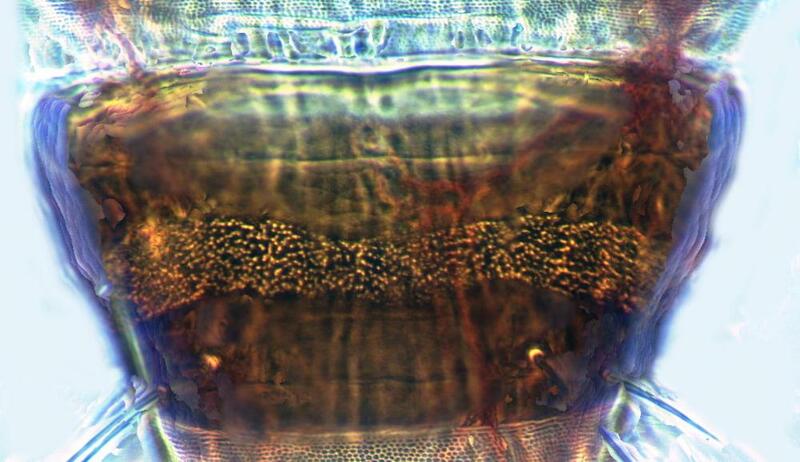 Fore tarsal tooth small in winged but large in wingless individuals. Metanotum without sculpture medially. Fore wing parallel sided, with about 10 duplicated cilia. Abdominal tergites II–VII with two pairs of sigmoid wing-retaining setae, even in wingless individuals, marginal setae S1 long and pointed; tergite IX setae S1 pointed, almost as long as tube. Male varying in size, large males with fore femora swollen; tergite IX setae S2 short and stout; sternite VIII with transverse pore plate extending full width of sternite. This species is not known from California, but is included here as one specimen has been seen from British Colombia. H. karnyi from North America is possibly the same species as the European H. fungi Zetterstedt, and neither of these can be distinguished satisfactorily from H. orientalis Ananthakrishnan from India, Australia and New Zealand (Mound & Walker, 1986). 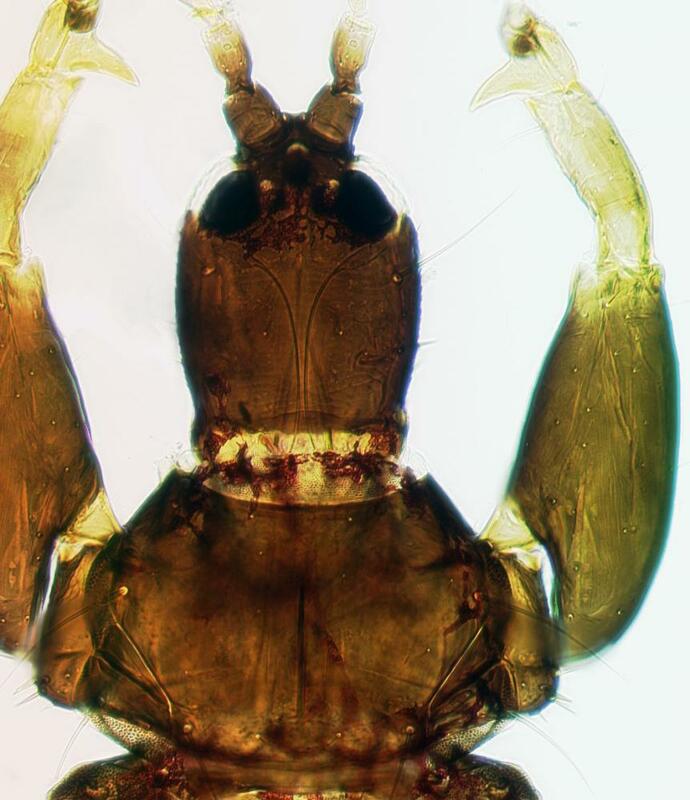 H. karnyi was treated by Stannard (1968) as a synonym of H. beachae (Hinds), but that species has an elongate pelta similar to Hoplandrothrips species and also has shorter maxillary stylets that do not meet medially in the head. 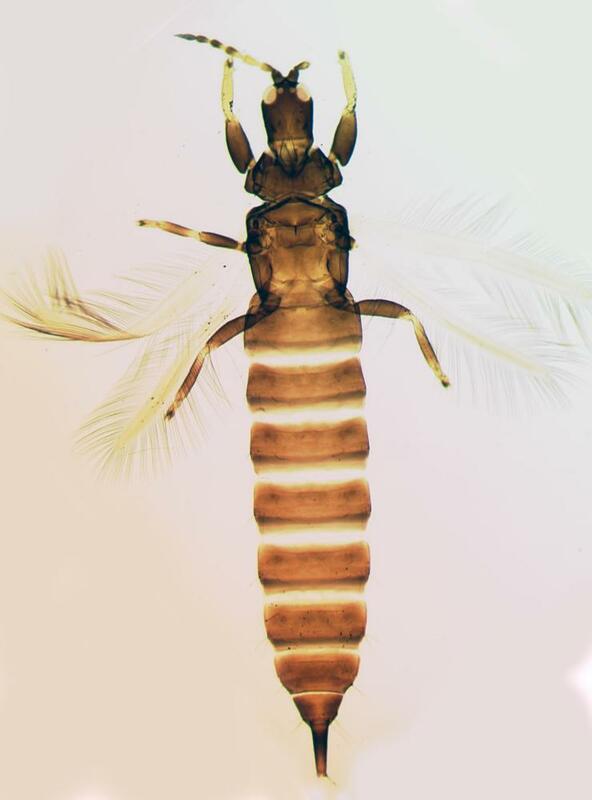 Species in the genus Hoplothrips frequently exhibit considerable sexual dimorphism, males vary in size with structural characters being allometric, and many species produce winged and wingless morphs. As a result, identification is difficult of the 130 species from around the world that are listed in the genus, and there are no available identification keys. Unidentified fungal hyphae, possibly Stereum species, on various trees. Widespread in eastern USA, one specimen has been studied from British Columbia, so the species is likely to occur in northern California.